You’ve Made SUCH a Difference! WOW. We are so grateful and privileged to share with you that I had our Director of Operations here, Jim Studebaker send a check last week in the amount of $12, 707.95 to help support the children and families of St. Jude. As you may know, we are passionate about supporting the amazing work this incredible organization does to support children and families. This season, we have chosen our very popular Football Series of postcards. Agents love them, their customers love them, and now, 10% of every order between now and September 7th will be donated to St. Jude to help us reach that $30,000 and beyond. We’d like to THANK YOU for helping us help them. It’s amazing to see how incredibly generous our customers have been in supporting this great cause. We are inspired by all of you who have helped us over the last year and a half contribute to this charity and we’d just like to say — YOU MAKE A DIFFERENCE! We believe in the get by giving philosophy and we are thrilled to partner with this great organization to help these families in need. In the words of Herbert Hoover, “Children are our most valuable resource.” We hope you’ll continue to help us help them! To learn more about our commitment to St. Jude Children’s Research Hospital® visit blog.prospectsplus.com/st-jude. Fall is in the air and the holidays will be in full swing before you know it. We’ve entered the season of Pumpkin Spice everything and parties and plans are already in the works. 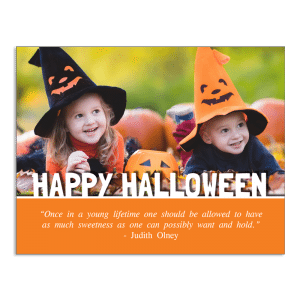 While many agents send Christmas, New Year’s and Calendar cards come December, why not beat the competition to the mailbox and start with our adorable Halloween postcards. They’re fun, charming and perfect for kicking off your fall well wishes to your sphere of influence. 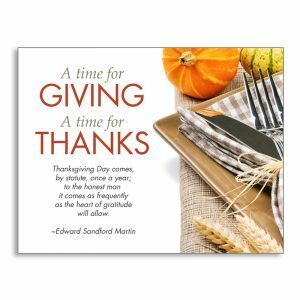 You can then follow up with Thanksgiving and Christmas holiday postcards and stay top of mind all season long. Let them know how much you appreciate them and that you are there if they, or someone they know have questions! Be sure to have some fun this last quarter of the year. Head over to our Master Marketing Schedule to see all the fun and creative ways you can touch base with your sphere and farm this season and make the kind of connections that will get you noticed — and earn you business. PLUS — From now until October 15th, we will donate 10% of EVERY holiday postcard order (excluding taxes, postage and handling) to St. Jude Children’s Research Hospital! Help us help the kids — and stay top of mind all season long! Get started today. Meet Gideon! Baby Gideon is a handsome little guy with a ready smile. 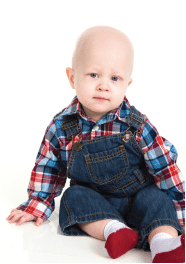 Just three days after it was found Gideon had stage 4, high-risk neuroblastoma, he was receiving his first dose of chemotherapy at St. Jude Children’s Research Hospital®. His long and intensive cancer treatment plan involves surgery, antibody therapy and a bone marrow transplant – but his smile has never waned. Gideon’s great-grandmother has been giving faithfully to St. Jude for over 25 years, never expecting she would personally know anyone who needed St. Jude – much less be a member of a St. Jude family herself. Like all families at St. Jude, Gideon’s will never receive a bill for treatment, travel, housing or food – because all a family should worry about is helping their child live. “Those concerns evaporate when you’re here, because of the supporters,” said Gideon’s mom. If you’d like to help us help kids just like Gideon, please donate today. We will match your donations dollar for dollar! Learn more at blog.prospectsplus.com/st-jude/. By the way – for EVERY football schedule postcard order through September 15th, we’re also donating 10% (less postage, tax and shipping) to St. Jude Children’s Hospital. Get started today. Helping Just Got a Whole Lot Easier! REAL ESTATE AGENTS WHO WANT TO HELP DONATE TO ST. JUDE CAN NOW DO SO BY SIMPLY PURCHASING DOOR HANGERS ON OUR WEBSITE. – Call to Action and more! Also, You Can Easily Find the Perfect Tool for Canvassing Your Local Neighborhoods and Help a Very Good Cause in the Process! Questions? Call our Support Team at 866.405.3638 Today.